Individual working notes of tasks organizers and participants can be found within CLEF 2018 CEUR-WS proceedings. 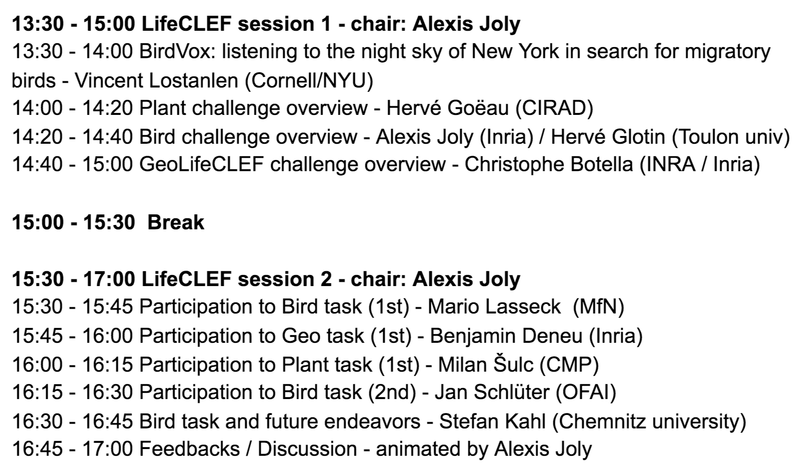 The full program of CLEF conference is available here. 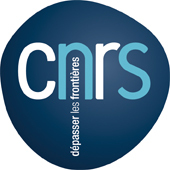 The LifeCLEF 2018 lab proposes three data-oriented challenges related to this vision, in the continuity of the previous editions of the lab, but with several consistent novelties intended to push the boundaries of the state-of-the-art in several research directions at the frontier of information retrieval, machine learning and knowledge engineering. Submitting a working note with the full description of the methods used in each run is mandatory. Any run that could not be reproduced thanks to its description in the working notes might be removed from the official publication of the results. Working notes are published within CEUR-WS proceedings, resulting in an assignment of an individual DOI (URN) and an indexing by many bibliography systems including DBLP. According to the CEUR-WS policies, a light review of the working notes will be conducted by LifeCLEF organizing committee to ensure quality. As an illustration, LifeCLEF 2017 working notes (task overviews and participant working notes) can be found within CLEF 2017 CEUR-WS proceedings. Participants can now access the dataset tab on the challenge's page. A LifeCLEF participant is considered as registered for a task as soon as he/she has downloaded a file of the task's dataset via the dataset tab of the challenge.